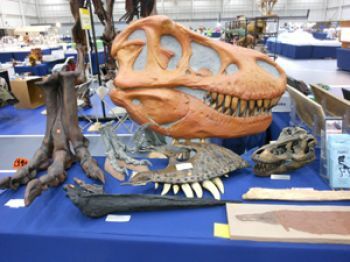 This is the largest show in the area where you will see high quality displays of minerals, rocks, gems, jewelry, beads, fossils, artifacts, projectile points, geode cutting, lapidary, demonstrations, science shows and exciting shopping opportunities. Bring that rock or fossil you've always wanted identified and let one of our geologists or paleontologist identify if for you. Hourly door prize drawings and a grand prize drawing. 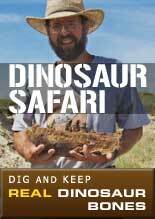 See the life size skeleton of Tarbosaurus bataar (the African Trex).Fun for all ages. Food and drinks on site and plenty of free parking. Children under 12 receive a free rock or fossil specimen when accompanied by an adult. I-79 from the North - Pennsylvania: Take exit 155 (US 19 / WV 7 -West Virginia University) and turn right on Chaplin Hill Road. Mylan Park is approximately 1.6 miles on the right. I-79 from the South - Clarksburg / Fairmont / Charleston: Take exit 155 (US 19 / WV 7 -West Virginia University) and turn left on Chaplin Hill Road. Mylan Park is approximately 1.7 miles on the right. I-68 from the East - Cheat Lake / Preston County / Maryland: When I-68 ends at I-79 take I-79 North to exit 155. At that exit, turn left on Chaplin Hill Road for approximately 1.7 miles. The North Gate entrance to Mylan Park is on the right.